The first look posters of Samantakamani have been creating quite a good buzz from all over. After revealing the looks of Nara Rohit and Aadi, today super star Mahesh Babu revealed the first look of Sudheer Babu as Krishna from the film. 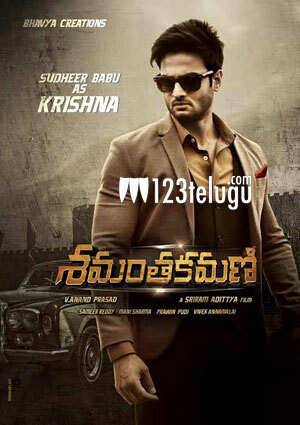 Sudheer looks quite dapper in the poster and plays a key role in the film. Sundeep Kishan also features in this crime thriller which is directed by Sriram Aditya of Bhale Manchi Roju fame. The shooting of this film is almost complete and more details about the theatrical trailer and audio will be out soon.